The Foundation has a number of studies that have recently been released, as well as several new ones coming down the pike. 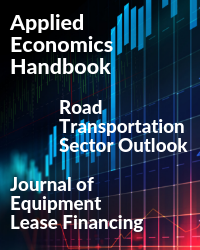 The updated Applied Economics Handbook, Road Transportation Sector Outlook, and Fall issue of the Journal of Equipment Lease Financing are now available via the Foundation's website. Additionally, reports on new energy technologies, banking on non-banks, and driverless vehicles will soon be released. Look for publication announcements soon. 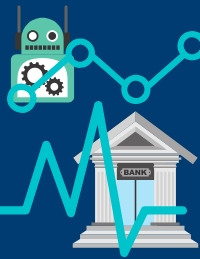 Monday, October 15, 10:30 a.m. – 12:00 p.m.
Robots and Cobots and Finance - Oh, My! Tuesday, October 16, 11:00 a.m.-12:30 p.m.
Tuesday, October 16, 3:00-4:30 p.m.
To view complete session descriptions, visit the ELFA Annual Convention website. While at ELFA's 57th Annual Convention, stop by the Foundation Booth and attend the free Donor Recognition Luncheon Monday, October 15. This year, the Foundation is proud to feature Dr. Mark Zandi as the keynote speaker. Dr. Zandi is chief economist of Moody’s Analytics, where he directs economic research. Moody’s Analytics, a subsidiary of Moody’s Corp., is a leading provider of economic research, data, and analytical tools. Dr. Zandi is also a co-founder of Economy.com, which Moody’s purchased in 2005.